Visit the Egyptian Museum with an Egyptologist on a half-day tour from Cairo, and discover artifacts, treasures and the world’s most significant collection of pharaonic antiquities. Begin and end the excursion at your hotel, and walk alongside your guide as you travel through the country’s remarkable past. See Tutankhamun’s burial mask and the mummy of Hatshepsut, and the gems, statues and supplies that ancient Egypt’s rulers collected for the afterlife. Your qualified Egyptologist guide will collect you from your Cairo hotel at 9am for the air-conditioned drive to the Egyptian Museum downtown, and lead you on a 3-hour tour of the museum's highlights. 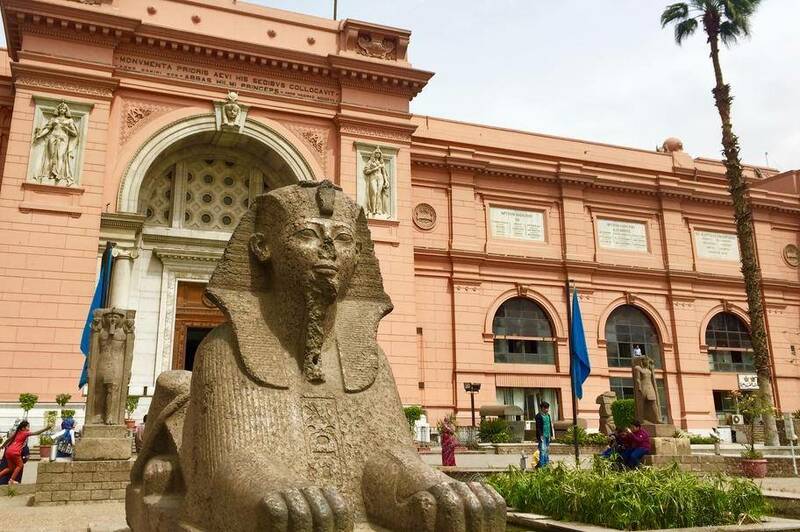 One of the largest collections of Egyptian artefacts in the world, the museum is home to over 100,000 antiquities, all dating back thousands of years. Visit the Tutankhamen exhibition, which includes treasures, gold, jewelry, and a death mask from the tomb of the famous boy king, discovered by Howard Carter in the 1920s, as well as replicas of artworks from his tomb. Discover the finest statues, death masks, and art works from pharaonic times: please note that the Royal Mummies Room requires a separate ticket. Once the tour is complete, you'll drive back to your hotel, arriving in time for lunch around 1pm.